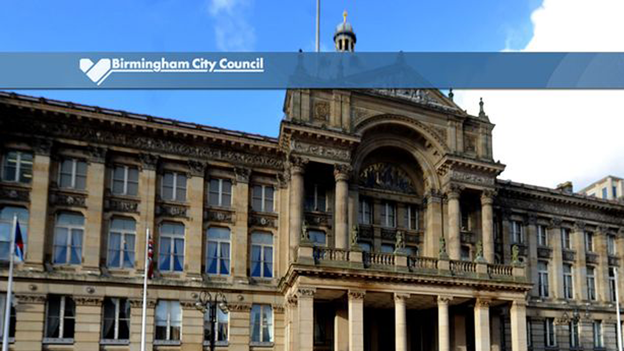 Rowdy protesters stopped Birmingham City Council's annual budget meeting three times as councillors clashed over £105 million cuts to services including the Library of Birmingham. 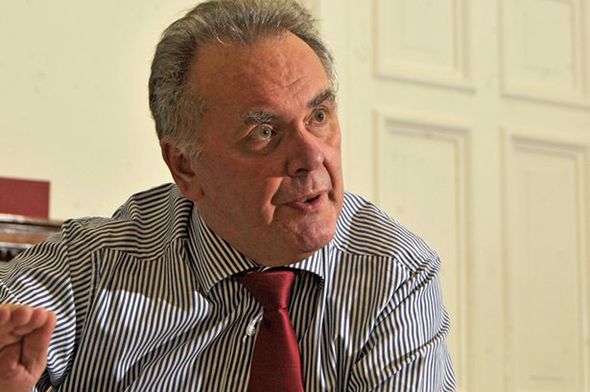 Anti-cuts campaigners chanted 'Shame on you' as Labour council leader Sir Albert Bore stood up to confirm the package of cuts and the Lord Mayor was forced to stop the meeting. The second time saw campaigners removed from the public gallery by security guard. And finally, just as councillors were preparing to vote after more than four hours of debate there was a third disturbance and the meeting was temporarily halted. With a strong majority the Labour group's budget proposals announced last month were passed without trouble - but not before councillors had heated exchanges over who was to blame for the City Council’s financial woes. Labour leader Sir Albert Bore said: "We will oppose the extreme cuts being proposed by the Government and stand up for the people of Birmingham who will be most affected by them." He added: "Despite the scale of the cuts we have brought forward a budget that reflects our aim of protecting the most vulnerable in our city as far as we can possibly can." He highlighted a £21 million increase in funding for child protection and said the service "may at last be turning the corner" after years of failure. And he added a note of optimism that Birmingham's economy is growing with major investment and jobs growth. In a 50 minute budget speech he also outlined the improvement plans put in place in the wake of the damning Kerslake report and the Trojan Horse schools scandal and outlined the case for more devolution of powers and funding from Government. Both the opposition Conservative and Lib Dem groups challenged Labour’s decision to stop cuts to the Library service, reinstate free garden waste collections and restore community project funds to local councillors. Tory leader Coun Robert Alden said that the budget is not about how much money the council gets from Government but about what it chooses to spend it on. He pointed out that £42 million of the council cuts had been redirected to academy schools and therefore is still spent on services in the city. He also slammed new charges for High Street business groups, called BIDs, as a 'shoppers tax'. "We have a choice to save those services our residents want. They will ask 'why am I paying more tax while my library is closing'." Lib Dem deputy leader Coun Jon Hunt described the cuts in libraries, children's centres, community chest funds and waste collection as "a series of petty cuts to front line services which could be put right for less than £10 million." He said this amount is small compared to the over all budget and scale of cuts.